Black Panther is a path-breaking superhero film on several counts. Not only is it the only major mainstream motion picture with a predominantly Black cast, making it culturally relevant, but it’s also the set-up for Infinity War, and a film which slightly alters the standard Marvel template in terms of plot and character set up. 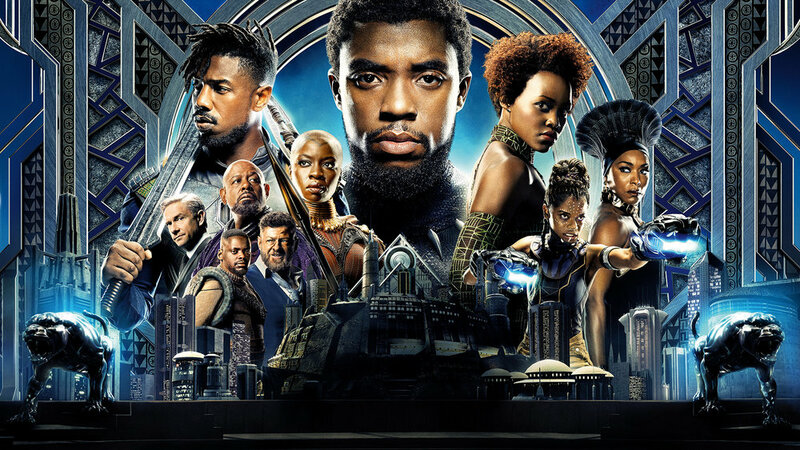 But while it’s all eye-poppingly beautiful to look at and boasts of a series of impressive performances, it’s not quite the gripping spectacle it was touted to be, what with its pace dropping alarmingly at frequent intervals, and its onus and reliance being more on secondary characters, instead of focusing on its principal protagonist, Black Panther, played by Chadwick Boseman, who ironically, turns out to be the most underwhelming and stoic character to come out of the studio in a while. Surprising, given his all-important backstory and the fact that the character himself was a major milestone in comic book history. Set after the events that unravel in Captain America: Civil War, Black Panther unfolds in the fictional nation of Wakanda – a superpower in possession of Vibrainium, an astonishingly powerful metal which is used to develop arms and advanced technology, but one which the Wakandans keep under wraps lest it get into the wrong hands and unleash worldwide chaos and destruction. Following the death of his father, T’Challa (Boseman) returns to Wakanda to be with his family and to assume the throne only to be challenged for the crown by a rivalling tribe and a more formidable opponent, an ex-U.S. black ops soldier who goes by the name Erik Killmonger (Michael B. Jordan), whose real identity sends shockwaves among the Wakandans and threatens to challenge everything they stand for, putting not just themselves, but the entire world at risk. As is the norm with most Marvel outings, Black Panther is undoubtedly entertaining, but as touched upon already, its timely comedy, and spectacularly choreographed action works only in fits and starts. The plot and pace take their sweet time to unfold, and while nobody can question director Ryan Coogler’s eye for detail and his ability to flesh out his characters, the downside here is that, at times, it will make viewers restless, especially the ones that came in expecting an action comedy with mindboggling effects. Which is a good and a bad thing. Good because the focus is more on drama, bad because, it falls woefully short of what the trailers had promised, which is why I’m a little on the fence as to whether I was surprised or felt slightly cheated by what was ultimately delivered. That said, the film is salvaged by its inevitably gorgeously lit frames, and a slew of engaging performances particularly from Jordan, who makes a more successful return to comic book-verse (after his pitiful turn as the Human Torch in the doomed 2015 misfire, Fantastic Four). Here his antagonist is written with a lot more depth and is given the edge because it isn't all dark, and in a surprising twist, is spectacularly vindicated in film's penultimate reels, and Jordan delivers it with just enough menace and vulnerability, ultimately, coming out more convincing than Boseman’s somewhat clichéd do-gooder hero. Similarly, Lupita Nyong’o brings a rare fierceness and energy to the role of Nakia, T’Challa’s warrior girlfriend, while Martin Freeman, Forest Whitaker, Angela Bassett and Andy Serkis make the most of their limited, but well-rounded characters. The real star here though is director Ryan Coogler, who tries to stray from the norm by delivering a subject that’s current and one that many African-Americans will relate to, despite its often hit and miss screenplay. So for its gorgeous scenery, vivid imagination and it’s jaw-dropping costumes and set design, I’m going with three and half cheers for this welcome return to Wakanda.